Ever find that it is really a hard thing to find out that someone used cell phone in the places where cell phones are not allowed to be used? If you have such kind of problem, here you can just come and pick up this All Cell Phone Signal Detector, then your problem can be easily removed. Such kind of cell phone signal detector device can detect the signals of the cell phones within a distance and once it found the signal it can give you an indication so that you can take immediately action to get away from them. 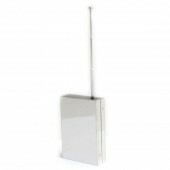 And this cell phone signal detector owns the ability of detecting the signals of CDMA, GSM, DCS and PCS/3G. And depending on the signal strength in the given area the detecting distance can reach up to 15 meters at most. Such a device is especially suitable to be used in places where mobile phones are prohibited such as Service Station, Security Services, Military Units, Border Patrol and Drug Enforcement, Customs, etc. Besides it can also be used in place such as Conference room, auditoriums, law court, library, exam room, school, cinema, theater, museum, hospital etc. 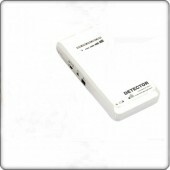 If you have such kind of need, just come here and add this cell phone signal detector to your cart at the best price. Just arrive and I have check the product can work as normal and the package is good enough to protect the device. Very Satisfied!!! Just come to me in 3 days and it is easy to use. Likeit very much. Than you!!! Have tested it and found that it owns excellent working ability. Really satisfied with the detector. Thanks and will come and buy again! 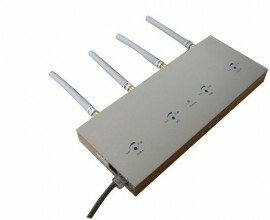 The product has a wide range of usage and easy to operate. As an old customer of yours, i think that your product is really excellent with both good quality and sound price.